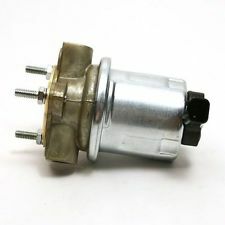 DELPHI FEED PUMP FOR ‘98.5-’02 DODGE/CUMMINS with electronic VP44 fuel injection pump. Dodge has quit selling the original lift pump, and has gone to the “in-tank” replacement. For those of you who do not want the newer “in-tank” version, we still have the DelphiHFP953 replacement lift pump with wiring harness at a special internet price! This unit is also great to have as a spare in case your fuel pressure drops to unsafe levels.